Spokane, Washington (June 20, 2016) — Jessica Labbs and Josh Richard, personal insurance sales executives and Wendy Richard, personal insurance account specialist of PayneWest Insurance in Spokane have received the Safeco Insurance® Personal Lines Achievement Award for 2015. The Personal Lines Achievement Award recognizes Jessica Laabs, Josh Richard and Wendy Richard for their commitment to customer service and performance for PayneWest Insurance. Only a select group of employees at local independent insurance agencies across Washington, Oregon, Idaho, Montana and Alaska are given this honor by Safeco Insurance. “PayneWest Insurance is pleased that Safeco has honored Jessica Laabs, Josh Richard and Wendy Richard with the Personal Lines Achievement Award for their exemplary representation of Safeco, passion for excellence, diligence and hard work,” said Jean Merkel, personal insurance service director. 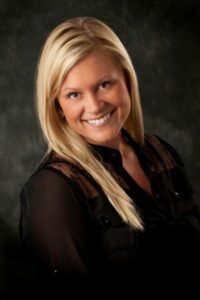 Jessica Laabs joined PayneWest in 2014. Jessica’s passion for taking care of others and getting her clients the best, most beneficial policies helped her to maintain the top-producer status for three years. For Jessica and PayneWest, the clients come first. She will do everything she can to make your insurance experience stand above her competitors, and her clients will always feel supported. 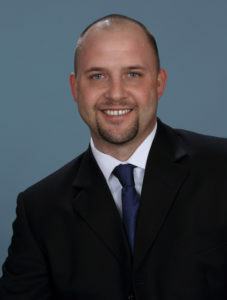 Josh Richard joined PayneWest in 2010 as a personal insurance sales executive. He started in the insurance industry in 2006 as a licensed territory sales representative for Safeco Insurance. Josh’s primary focus is to provide knowledge and value to each individual in order to assure all their insurance needs are met. 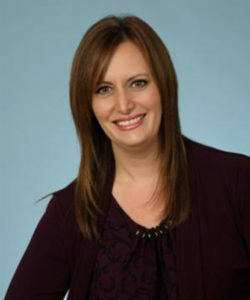 Wendy Richard joined PayneWest in 2011. She worked in personal insurance at Safeco for nine years before coming to PayneWest. She was also a recipient of the Personal Lines Retention Award and Safeco Insurance Personal Lines Achievement Award in 2013. PayneWest Insurance has over 640 colleagues in Montana, Idaho, Washington and Oregon. Find all of us at PayneWest.com/Directory. You can contact Jessica Laabs at (509) 755-9324 or by email at JLaabs@PayneWest.com, Josh Richard at (509) 755-9322 or by email at JRichard@PayneWest.com, and Wendy Richard at (509) 755-9323 or by email at WRichard@PayneWest.com. PayneWest Insurance is the Northwest’s premier insurance advisory firm. Operating independently since 1921, PayneWest Insurance provides business and personal insurance, employee benefits and surety. Today, PayneWest is the largest independent, employee-owned, agency in the Northwest and was ranked 38th in the top 100 U.S. Brokers by Business Insurance in 2015. Driven by their commitment to serve their Clients, Colleagues and Communities, they have 31 offices throughout Washington, Idaho, Montana and Oregon and employ more than 640 insurance professionals, including advisor teams that specialize in highly complex market niches such as agriculture, construction, hospitality, banking, medical malpractice, and resource development. They recently were named a Best Places to Work in the Insurance Industry in 2015 by Business Insurance.